Go Back To Your Roots! Remember those classic days at DY5, Millennium, PJ’s, Academy where the music was just fantastic, or heading a bit further back and afar to Christophers, The Kingfisher, 42nd Street, Bentleys and Goldsmiths, but wherever it was, the groove just seemed that much better. Well, that music is back, and back with a vengeance. “ReUnion” at Brierley Hill Civic launches in February 2019. Classic Club Tunes and Chart Classics from three fantastic decades. 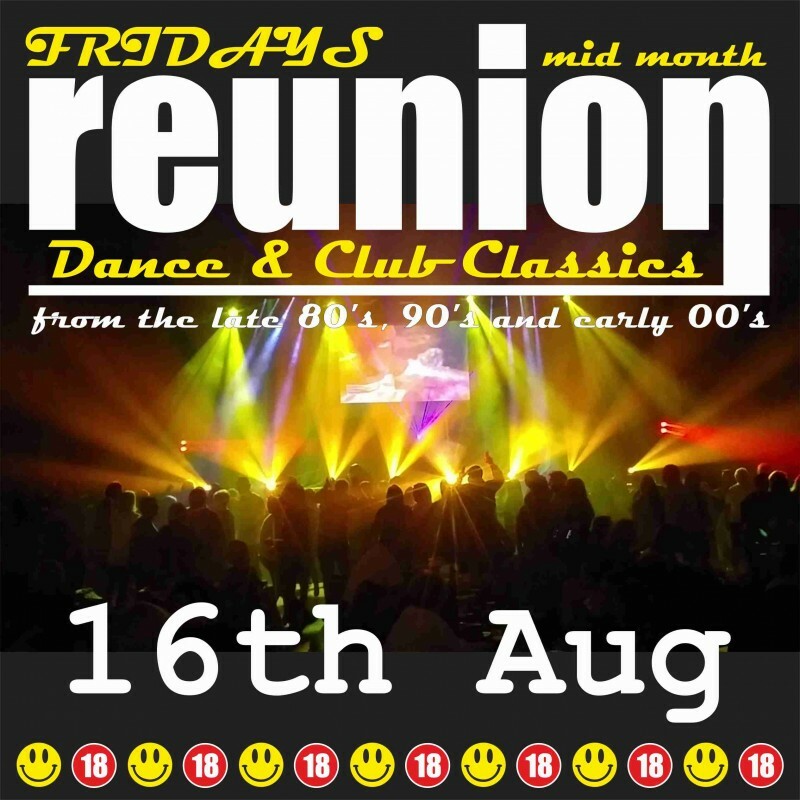 Appearing approximately every mid-month on a Friday Night, The Civic hosts “ReUnion”. Ultimate DJ’s, Video Screens, Great Sound System and fair bar prices guarantee a night to remember, every month! The Eighties, Nineties and Naughties have never sounded so great and looked so good. It’s a bargain £5 to get in, and the party goes from 9 till 1am (doors at 8pm).